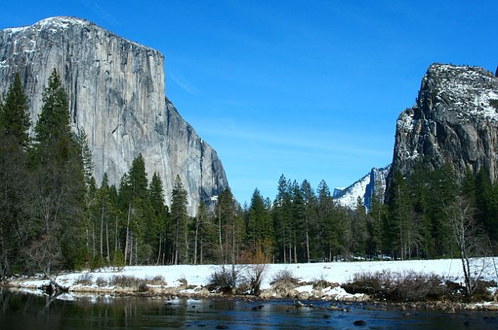 Plan to join a family program which includes a top flight emergency medicine symposium, outdoor activities including Ranger guided hikes, ice skating, cross-country and downhill skiing and sightseeing in Yosemite Valley, evening programs with photography and art exhibits and speakers on all manner of subjects. Lasting friendships will be made. Many attendees have been coming for decades. This is an experience like no other. Every winter, Ron assembles the Clan to the Valley to celebrate, reflect, rekindle friendships old and new, hike the mountains, and to learn from each other. It is a unique gathering based on camaraderie and fellowship surrounded by immense beauty. I really enjoyed the conference. The quality of the lectures is very high and I learned a lot. I was worried that it would be colder, but it was perfect temperature to hike and enjoy the beauty of Yosemite. I think this conference provides an unique combination of valuable learning opportunity as well as bonding experience with the colleagues and nature. One of the reasons why so many of us return to the EM in Yosemite course year after year is that you often get a chance to spend a few days hiking, dining, and relaxing with the speakers, who are always excellent. There’s something about Yosemite that turns CME into an osmosis kind of thing: what you learn there tends to stick, perhapsbecause it’s less a chore and more of a shared experience. 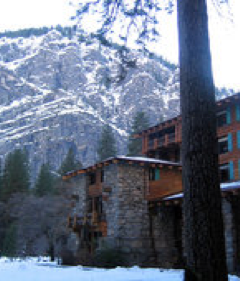 A remarkably illuminating and classy educational experience, in an awesome and majestic venue – attended by some very special people: the ANNUAL EMERGENCY MEDICINE in YOSEMITE CONFERENCE in January. I never miss it. Not only a wonderful educational experience, but some wonderful evening cultural events-art, music, lectures and some gorgeous scenery and spectacular hiking events. For the past 20+ years one of the highlights of my year is the trip to Yosemite. The didactics are great but it the community of emergency physicians who attend that make it so special. Over the years we have all become friends and enjoy the time we spend together hiking, ice skating, and dining. Turn off your cell phone, open your eyes and ears, and enjoy the valley! I have been fortunate to attend medical conferences all over the world. But the Yosemite conference certainly ranks among my very favorites.The people, the mind expanding topics and the setting…. my what setting! 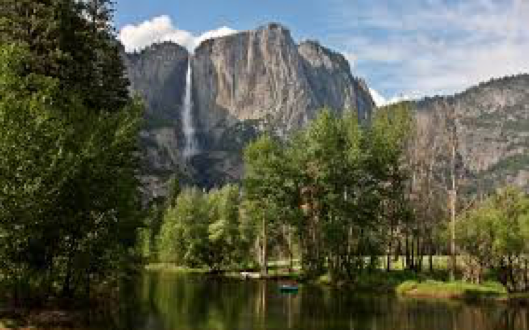 I love Yosemite and have visited many times, but grew weary of the crowds and traffic in the summer. In January, you pretty much a have the place to yourself. Solitude on hiking trails, open tables in the Ahwanee dining room and bargain room rates. It makes for truly magical experience and I hope to attend for many years to come. I was told I only need to come to the Yosemite EM conference once and I would be hooked for life. My mentor was right. This conference not only incorporates high quality lectures from nationally renowned speakers but it does so, in an intimate lecture hall. When not soaking in knowledge, the afternoons and evenings are yours to explore the winter wonderland that is Yosemite National Park. It sets the perfect environment to socialize and catch up with colleagues on the organized hikes, or spend time with the kids and spouses with an epic snowball fight on the valley floor with half dome shining in the background. The evening programs are designed for everyone with topics that focus on the arts and nature. And if food is your forte, take advantage of the Chef’s Holiday dinners that coincide with the conference. Come once and I guarantee you will be hooked as well. See you in January! Hi Ron and Susan, Well another phenomenal Crowell production is under the belt so to speak and phenomenal it was. Your selection of speakers and topics was unparalleled in excellence, both in content and delivery. The non EM presenters were also magnificent aside from wandering a bit too far into the weeds with the organic farmer guy. But I give him an A+ for enthusiasm for his subject!! And of course your after party gatherings in the Crowell enclosure is the coup. The exercise program supplemented by world class views is uniquely wonderful as well. I’m not sure that I will do the Y falls trek again as the risk reward ratio is a little to far out of sync for me. I don’t have time for any integrity misadventures that could interfere with the next event, whatever it may be!! We really like the dining options as well. Grazing at the Crowell “dining room” with “healthy” food options at a very attractive price all washed down with tasty wines is unsurpassed in elegance and style! Again, thanks for continuing the fine Crowell tradition and we look forward to a return in Jan if not before. All the best. Interested in a legacy gift to YMEF?